MJM Innovations, a Baltimore, MD-based leading transportation management and software development technology firm, has been awarded a three (3) year contract with two (2) one-year renewal options from one of the nation’s largest multi-modal transit systems, the Maryland Transit Administration (MTA). The MTA operates various public transportation systems including a comprehensive Paratransit system (Mobility) in addition to performing other functions that support public transportation throughout Maryland. 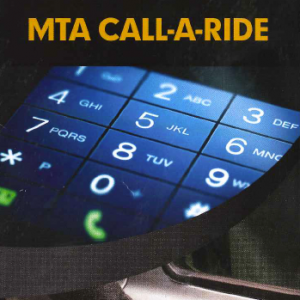 MJM Innovations originally developed transit software and provided management services (in 2004) to meet and enhance the customer service needs of the Maryland Transit Authority (MTA) for its Paratransit program, the MTA Call-A-Ride Service. MJM Innovations custom-built transportation technology and management solution is called EzTransport. Call-A-Ride is a premium service and is offered to complement the ADA Paratransit Mobility program. This unique solution provides same-day service using approved taxi and sedan companies (including wheelchair accessible vehicles), and offers cost-effective rides without requiring the MTA to expand their infrastructure. In addition to developing public transit software to meet the needs of the program, MJM Innovations works closely with the transportation providers – taxi and sedan companies – to capture and manage trip data, automate fare collection and increase accountability through web portals, trip management, integration and mobile Apps. Like the MTA, the providers have benefited from the web-based applications that reduce paperwork, decrease payment cycles and provide access to real-time trip information. For more information about MJM Innovations and its services, contact us today!